Why do circuit weight training? Weight training can be used to increase muscle power and strength, and it can also be good for general body conditioning and overall fitness, including aerobic fitness. It can benefit most people, from serious sports competitors to the least fit sedentary person. Many people think that weight training is the same as weightlifting, but the two are separate. Weightlifting and powerlifting are more specific, using resistance exercise, usually with free weights, to increase muscle strength and bulk, and there are competitions for serious participants. Activity keeps our body in good condition. The right kind of movement is good for all our body systems. It helps the circulation, heart and lung function, digestive system, bones, joints and muscles. Inactivity is harmful to body health. Muscle strength is the basis for physical activity. Without muscle strength, it is difficult to do anything. We need strength, not just for sports and demanding activities like chopping wood or carrying heavy loads, but also for simple everyday things like walking or cutting up food and putting it into our mouth. Muscles become wasted, losing their contours and fitness when they are not used, whether because of a sedentary lifestyle or as a result of being immobilized because of injury or illness. Muscle strength decreases with age. Osteoporosis, or thinning of the bones, can be a problem in later life, especially if there is a family history of it. Osteoporosis is usually accompanied by muscle weakness. Muscles are strengthened through movement against a resistance. Resistance training can be done using free weights such as dumbbells, bars-and-weights, weights machines, bodyweight, and the effect of gravity. Weight training using well-designed machines is a good way of improving strength and tone in normal muscles. The machines provide a stable starting position, so that you can perform each movement correctly and efficiently. A good range of machines can cover all the body’s major muscle groups. Each exercise should take the working muscles through a full range of movement. There are two important elements in the muscle work involved in resistance training: concentric and eccentric. In a concentric contraction, a muscle group shortens as the required movement is created directly against gravity, a load or a resistance, whereas eccentric action is the lengthening out of the muscle group as it controls a movement which would otherwise happen through the influence of gravity or a load. Doing resistance exercises for all the main muscle groups provides body balance. Not only does it make us fitter, but it helps prevent injury and deterioration in the bones and soft tissues. It is effective background exercise both for daily life and sports of all kinds. If you’re sedentary, resistance training can ward off circulatory problems, back pain or joint aches. 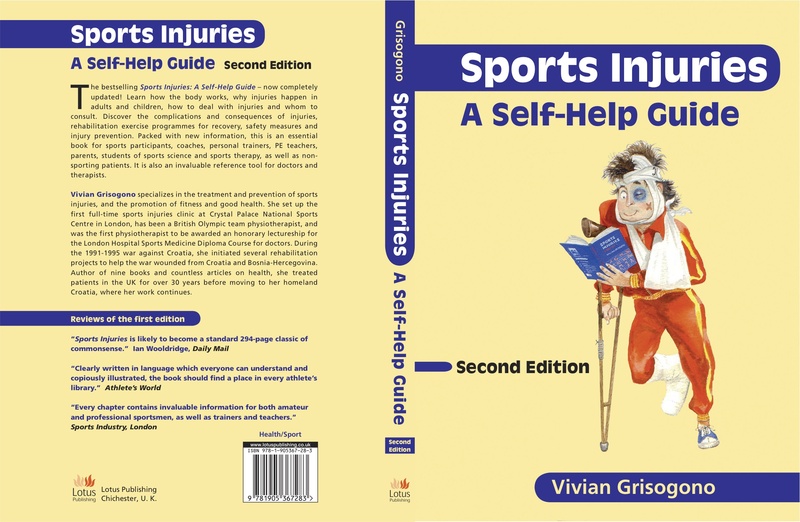 If you do a sport, whatever your level, it can protect your body from the imbalance which is a cause of many injuries. Circuit training means doing a number of exercises in sequence, and repeating the sequence, usually three times, but it can be more or less according to the amount of work you want to do or the amount of time you want to spend on your training. Combining weight training with circuit training enhances the fitness benefits, as it provides a good level of aerobic training which improves your heart and lung function. It’s safest to use weights machines rather than free weights for this, as you need to do the exercises as quickly as you can, without compromising the quality of your movements, and you need to move between exercises as fast as you can. Once you are familiar with your exercises and how to do the circuit safely, you can use timed intervals to create the element of speed. Twenty seconds on each exercise, with a ten-second interval for moving on to the next exercise, done for a total of thirty minutes can create marked aerobic improvement over a six-week period. To save having to watch the clock, you can record a tape or disc giving the timed intervals for starting and changing the exercises. Firstly, choose the right gym. Weights machines are simpler and safer to use than free weights, but you do have to know how to use them correctly. Before you start, you should be guided through the machines by a competent qualified professional. Going into a weight-training gym for the first time can be a daunting experience. You must have confidence in the person guiding you. if not, find another gym. It also helps to go with a friend. it’s best if you can be monitored when you do your exercise sessions, at least for the first few times, while you are becoming familiar with the exercises and equipment. Conditions in the gym should be conducive to efficient exercise. The space should not be cluttered, and it should be properly lit and ventilated. Loud music and blaring televisions can be distracting, unpleasant and off-putting. It’s much better if you can choose for yourself whether you want music through personal headphones or not. Watching television or reading while you exercise is not recommended: firstly by fixing your head position and eye focus you detach them from your movement patterns, whereas they should be following the flow; secondly you can’t concentrate on your exercising as you should if you’re trying to do something else at the same time. Is weight training boring? Lots of people think so, especially sports players and competitors. But it needn’t be, if you plan your programme properly. You don’t need to do too much or too often. Thirty minutes of efficient circuit training twice a week for six weeks will give you noticeable (and measurable) fitness benefits, although maintaining the programme for three months is better, as it gives due time for muscle adaptation to the training. You should choose as wide a range of exercises as possible, preferably at least ten different movements. Your programme should be progressive, so that you build up your workload in easy stages. Always work within your limits. For general conditioning, you should aim to do up to 15 repetitions on each exercise, and to repeat your circuit of exercises three times in each session. You should be able to do each movement comfortably, without straining. Quality of movement is all-important. If you find you’re struggling to do 15 repetitions, cut down to the number you can do easily, be it as low as 3 or 5, and then do additional repetitions as you get stronger. When 15 repetitions seem to be too easy, that’s the time to increase the weight on that particular exercise. Having raised the weight, you may need to cut down the repetitions, or you may find you can do one circuit using the higher weight, and the next at the previous weight. Either way, build up gradually, session by session, until you can do 15 repetitions in each circuit. Choose your exercises for balance. Don’t just do the ones you find easy, or those you think are most relevant to your sport. Select a variety to cover the whole body. If some parts of your body are weaker than others, do more exercises for the weaker parts, to create better body balance. Intersperse exercises for the arms, trunk and legs within your circuit each time. Don’t focus on one area only. For instance, don’t do leg exercises one day and arm exercises the next. Within the circuit, you can also include bodyweight or gravity resisted exercises, or use equipment such as a mini-trampoline, static bicycle or Swiss ball. For each exercise, make sure your starting position is correct. If you are sitting down, use the backrest or keep your back and head straight: don’t lean forward and look down. For standing exercises, keep yourself well upright and avoid bending forwards or backwards as you do the movement. Every exercise should involve as full a range of movement as possible. This produces suppleness together with strength, creating good muscle tone, and protecting your joints from stress injuries. Once you have done your programme over the period you set yourself, preferably between six and twelve weeks, you can stop. This is a good time to do other fitness activities. At intervals during the year, (and over many years) you can come back to the weights circuit training. However long you leave it, you will always retain an element of the fitness you gained previously, and you will be able to build up your fitness each time from that base-level. * Standard weight training and exercises are generally unsuitable for people suffering from neurological conditions, such as spasticity following a stroke or head injury. If that’s your case, always be guided by a physiotherapist who is competent and experienced in treating neurological problems. * If you have any doubt about your health, check with your doctor or practitioner before embarking on any exercise programme. * Never do exercise if you are unwell, have a temperature, headache, sore throat, raised pulse or raised blood pressure. * It’s a good idea to do a warm-up to prepare for the session and a warm-down to wind down, although they are not strictly necessary for this type of controlled workout.